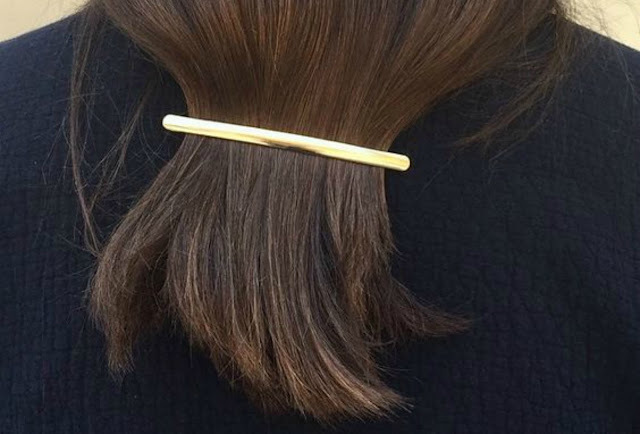 Regardless our hair type, we all want it to look healthy, shiny, and strong. And yes, there are tons of hair treatments out there for every nature of hair, but I personally like more natural, homemade treatments that don't involve all sorts of chemicals. So, for me, a natural oil treatment is the best thing I can do for my hair, and experts on the subject seem to agree. But again, there are so many different oils with different effects and benefits for every type of hair, it can get confusing. After doing some research for myself, I thought of sharing the breakdown with you, so I've listed the most popular oils and their main functions. Rosemary oil has natural ingredients that boost thickness and shine, and help prevent hair loss. If your hair is extremely thin, pomegranate seed oil is usually recommended because it revitalizes the color and texture of the hair, preventing dullness and improving elasticity. Olive oil helps reduce dryness, typical of thick hair, as it is very hydrating, while also restoring shine and elasticity. And because olive oil is so heavy, it helps thick hair strengthen its texture. Another good option is avocado oil as it has rich proteins that will prevent breakage, split ends, and sun damage, while hydrating the follicles for stronger hair. Sweet almond oil is great and has lots of benefits for every hair type. It helps revitalize shine and strength, and heals split ends thanks to its high content of Vitamin A. 1. Whichever oil you choose, start off by covering all of your (dirty) hair with it, paying extra attention to the roots. 2. Cover your hair with a shower cap and leave it on for 30 minutes. 3. Wash off with shampoo and condition as usual. 4. Repeat once a week for best results. Most oils are great for the hair, just make sure to know which fits more appropriately your hair type to get the most advantages out if it. I also suggest heading over to Oiling Point's site to check out their article with a foolproof recipe for speeding up the hair growth process. Do you have any other good natural treatment for the hair? Image from thankyou_ok via instagram.